We’ve been all waiting for the official release of this mug for quite a while. As you remember it was delayed due to an error made on the mug. 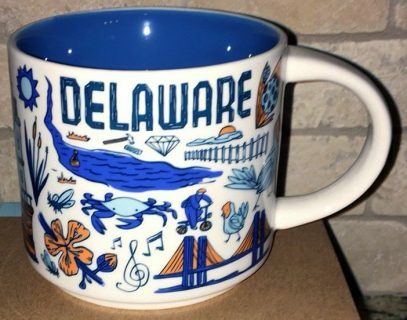 As you can see, the “fixed” Starbucks Been There Delaware v2 mug is missing “Lower Slower” nickname on the front. So instead of making it “Slower Lower” they replaced it with crab. My guess, this phrase is copyrighted, and Starbucks decided to completely remove it, in order to avoid any lawsuits in the future. As a reminder, Slower Lower is the southern portion of Delaware (Chesapeake & Delaware Canal is separating this State in two parts). The residents of southern part of the State tend to be much more conservative then the progressive residents north of the canal.